The Horticultural Trades Association (HTA) is a modern, leading-edge trade association representing the UK garden industry. Established in 1899 at the Crystal Palace by 60 like-minded horticulturalists, the HTA has, for over 100 years, promoted the interests of its members and the industry at large. A cost-effective and comprehensive range of business support and development initiatives are available to individual members. To the membership as a whole, HTA provides a vital forum for identifying and dealing with key garden industry issues and opportunities, represents industry views to Government and is its voice in the media. With a retail turnover of over £5 billion a year, the UK gardening industry is a buoyant and growing market. The market has enjoyed good growth over the last 10 – 15 years, not least as a result of changes in lifestyle and disposable incomes. Social economic conditions have worked in favour of the gardening industry with an increase in home ownership, higher disposable incomes and an ageing population. What’s more, consumers are becoming better informed gardeners and are more demanding, requiring better service and value. Gardening is even – dare we say it – becoming increasingly fashionable. The popularity of the grow-your-own movement is testament to the public’s increased interest in their environment, the garden as a refuge and a greater desire to connect with the earth. 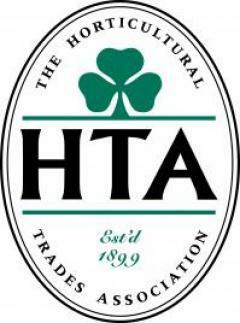 HTA membership covers all aspects of the industry and includes some 1,600 businesses and 2,700 outlets representing retailers, growers, landscapers, service providers, manufacturers and distributors of garden materials. Retail membership includes specialist retail nurseries, the vast majority of independent garden centres, garden centre chains and some DIY and high street multiples. HTA member growers represent approximately 80 per cent of the total UK production of ornamental plants, including all major UK growers. HTA also operates a number of groups that represent the particular interests of specialist areas with the industry. These include the Association of Professional Landscapers, the HTA British Roses Group, the Association of Liner Producers, the Association of British Conifer Growers, the Growing Media Association and the HTA Tree and Hedging Group. The HTA is run by the industry, for the industry with volunteers from members and a full time staff under the Director General based at Theale, Berkshire. It is a non-profit making organisation which ploughs back surplus revenue to help develop new services for its members and keep subscriptions to a minimum. National Garden Gift Vouchers (NGGV) are gift vouchers available to consumers to purchase and redeem in garden centres and gardening outlets. National Garden Gift Vouchers strive to aid the development and overall growth of the gardening industry by enhancing consumer spend and generating increased sales. 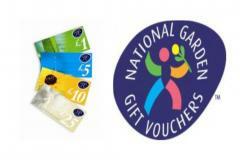 What are National Garden Gift Vouchers? National Garden Gift Vouchers are gift vouchers available to consumers to purchase and redeem in garden centres and gardening outlets to aid the development and overall growth of the gardening industry by enhancing consumer spend and generating increased footfall. What denominations are the vouchers available in ?